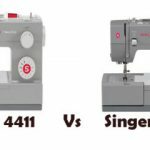 Singer Futura XL-550 is a good, value for money sewing machine. It has quite a lot of features, but the automatic needle threader is not that great though. 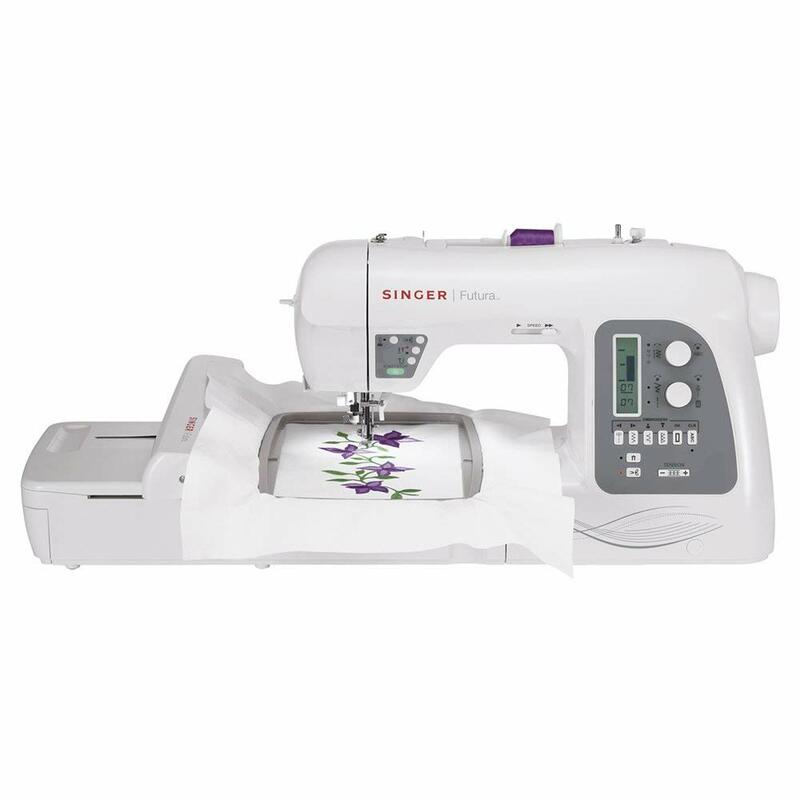 Singer Futura XL-550 combines sewing and embroidery all in one. 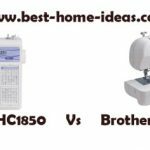 It is a high end embroidery machine. One great thing is that you need little manual intervention while doing embroidery on this machine. If you look at the sewing features of this machine, it is pretty impressive. 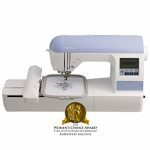 It packs 215 built-in stitches including 6 fully automatic 1-step buttonholes and 1 endless buttonhole. You will get an extra large sewing space of 210mm with this machine.Bobbin system is top drop-in. There is auto tension and twin needle control. Programmable needle up/down feature is also there (You normally expect it in such an expensive sewing machine, not a huge surprise). One thing Singer machines always lacked was good bright LED work lights. Work lights on this machine is pretty good in fact. It is way better than many other Singer models, it comes with 6 stay bright LEDs. The LEDs are placed on the tower and to the right and left of the needle. Now let us have a look at the embroidery features of Singer Futura XL-550. It has 125 built-in embroidery designs and 20 fonts for monogramming. A DVD containing 3 embroidery software programs is included in the box. The embroidery hoop size is 10 X 6 inch, which is pretty large to be honest (hence justifies the price tag). It also has multihooping capability so that you can create designs up to 4 times the largest hoop size which is 10 x 6 inch in this case. Another huge advantage of this machine is the USB connectivity, which pretty much makes it an unlimited design machine. You can download any number of designs from the internet. Moreover, it supports a variety of file formats. The memory function on Singer Futura XL-550 allows you to save selected stitch combinations. All designs are editable and you can even edit the downloaded ones. Stitch selection is done using the dials. Separate dials are provided for stitch selection and stitch settings. The automatic thread cutter and needle threader saves time. Automatic thread cutter is a nice feature, it cuts the thread with the push of a button, you don’t need to reach out for the scissors anymore. The electronic auto pilot feature lets the machine sew while you are away, again a nice feature that justifies its price. Built-in tutorials : No need to look at the user manual every time you have some doubts. Honestly, I am really impressed with the features that Singer Futura XL-550 has. But we have to look at the usability of this machine before drawing a conclusion, that is where it makes or breaks the deal for me and for everyone I guess. It is a bulky machine and it can do some awesome things. It sews through heavy fabric quite easily. The large space is a huge blessing for quilters. You might need some time to get used to the options and settings available on Singer Futura XL-550. This being an advanced sewing machine, I don’t expect you to be a complete beginner, so the learning curve will be easy for you. The autopunch software also justifies its price as it can be worth some money. Stitches come out perfect and they look very beautiful. All stitches are regular and even, no problems like skipping. The embroidery quality is quite good as well, with best results in low speed setting. The overall build quality is pretty good. 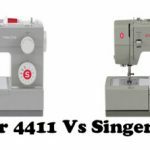 The only limitation of Singer Futura XL-550 is that the automatic needle threader is not that great. It will take some time to get used to the needle threader. Not a big deal, once you get used. The maximum sewing speed of this machine is 600 stitches/minute which is not that great either. But you won’t notice it too much until you use it for commercial purposes. This machine takes $1500 machines head on. Most people love the extra large embroidery area you get with Singer Futura XL-550. 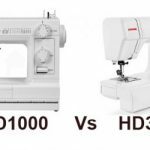 In fact, the larger embroidery area is what makes this machine different from all other competitors in the price category. I have seen some people giving bad reviews for this machine. But after using this machine, I am sure that all those reviews must be because of operator errors, not machine related. All in all, it seems to be a very good value for money product. For some, it may seem expensive, but it is worth the money for sure.